As advocates of the communities we serve, we seek to promote autonomy, self-sufficiency, social and personal responsibility and good citizenship among all individuals. Building Human Self-Sufficiency is the primary goal of the Launch Point programs. Joblessness, inability, illiteracy, disability, Impoverishment, family dysfunction, juvenile delinquency, incarceration are among the many barriers that render the larger population powerless to build themselves into healthy vibrant families, successful careers and small businesses. We help youth and adults at risk to becoming burdens on society become productive citizens to society. We help promising non-profits and small businesses struggling from the lack of information, training and funding become more productive and efficient by utilizing available resources and strategies for success. Launch Point challenges its underserved participants & communities to accept and demonstrate self-responsibility, self-determination & self-reliance by engaging in Educational Entrepreneurial and Social Services Development Resources. Through these initiatives, Launch Point has assisted over 800 heads of households with training, job placement and resources enabling the families to get off TANF and welfare, over 2,500 youth with career and leadership development activities within the last 5 years. Ivory Mayhorn is the CEO and Founder of Launch Point Community Development Center, Inc., a 501(c)(3), non-profit organization. A community leader and advocate for better families and communities for over 30 years has formed the right team for community transformation. This is the Launch Point Team, the key to the success and drive for excellence by the organization. Operating as an administrative team of veteran executives of successful organizations and businesses, a wealth of knowledge and experience for transforming the lives of families and the communities is the foundation. Since its inception, LPCDC administration has worked diligently to build and strengthen the organization’s coordination and partnerships with other local organizations and agencies. 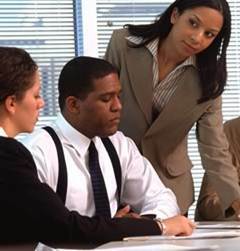 The organization has become known for providing specialized assistance with minority/disadvantaged individuals , students, youth and families over the past 15 years, specifically in workforce training and development in health care careers with underrepresented groups in the communities served by the project. The vision for Launch Point is to reverse cycles of community deprivation, incarceration, impoverishment, and illiteracy by providing supportive resources, training, services and opportunities to the Harris County area youth, families, and communities. The Launch Point Team is a team of dynamic executives and managers of proven successful businesses and community organizations. The Launch Point Team was recognized by President Obama’s White House Champions for Change Initiative. The Launch Point Team has been awarded over 3.5 million in funding for transforming lives in underserved communities. Donors and sponsors can be confident knowing their contributions are assured to provide direct results to individuals and communities with substantial returns on contributions. Awarded $566,707 Self Sufficiency Fund (SSF) grant from the Texas Workforce Commission (TWC) One hundred (138) TANF/Food Stamps recipients, with dependent children, with training in the Successful Beginnings/Customer Service, Certified Nurse Aide Training and Computer Training. Awarded $271,094 Self Sufficiency Fund (SSF) grant from the Texas Workforce Commission (TWC) One hundred (100) TANF/Food Stamps recipients, with dependent children, with training in the Successful Beginnings/Customer Service, Certified Nurse Aide Training and Computer Training. Awarded $199,814 Self Sufficiency Fund (SSF) grant from the Texas Workforce Commission (TWC) Sixty-six (66) students TANF/Food Stamps recipients, with dependent children, with training in the Successful Beginnings, Customer Service, and Computer Training Programs. Awarded $44,000 from the Texas Workforce Commission for Employment Mentoring Program. Partnered with Clinton Park Elementary School in providing services to youth, in a Mayor’s After-School Achievement Program (ASAP). Received a grant from the Texas Parks and Wildlife Department to assist in building the organization’s service capacity, enabling the Center to provide additional evening and weekend activities for all persons in our community. Assist individuals underserved with information, training and resources to develop self-sufficiency. Provided training, development, and start-up funding strategies for our non-profit clients and small businesses. Coached and provided development assistance to over 26 non-profit and for-profit Historically Underutilized Businesses (HUB) & executives. Provided 1000’s of In-Kind services hours of pro-bono assistance and hands on support to our non-profit clients. Guided over 50 businesses from the verge of bankruptcy to solvent. Assisted organizations in fundraising strategies to reach 1000’s of clients. Our 2013-14 goals include creating 300 new jobs in our service area, transition 350 recipients from the welfare of government assistance to on the job training, assist 150 adults with attaining his or her high school diplomas and solid career paths and reach over 1500 youth with accelerated learning for high performance achievement.